The United States law enforcement officials announced they had arrested a man wanted for alleged kidnapping after he arrived at Miami’s seaport on a cruise ship from Jamaica. The CBP (Customs and Border Protection) agency said the unidentified person was awaiting extradition to South Carolina. 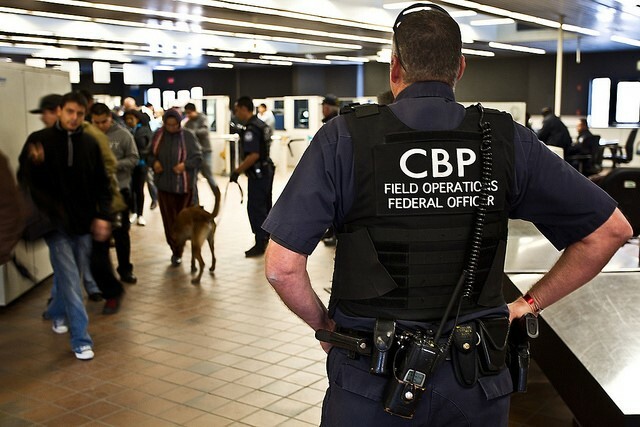 “Intercepting wanted criminals and detaining them on behalf of a law enforcement agency is part and parcel to what CBP does to ensure those crossing the border into the United States do not pose a risk to our nation and its population,” said Dylan J. DeFrancisciMiami Seaport Port Director. “This particular man was wanted in connection with a warrant from South Carolina with first-degree assault and battery as well as kidnapping charges. He was turned over to the local police department for processing and will be returned to South Carolina to answer for his alleged actions”. Meanwhile, two unrelated travellers from the Caribbean have been taken into custody at Charlotte Douglas International Airport, North Carolina on charges of felony narcotics possession and intimidation of witnesses. The Customs and Border Protection said law enforcement officials had arrested Ryan Pett, 38, after arriving from US Virgin Islands. The 57-year old Trevor Brown, of Pittsburgh, Pennsylvania, had also been arrested for intimidation of victims or witnesses, included stalking, on his arrival from Jamaica (Montego Bay), CBP said. “While our primary mission is anti-terrorism, our Customs and Border Protection officers are also committed to working with state and local law enforcement agencies in an effort to apprehend wanted fugitives,” said Patti Fitzpatrick US CBP Area Port Director in Charlotte. “These arrests demonstrate vigilance and dedication exercised every day by CBP officers to secure our homeland and safeguard our citizens."